“There is no place on this small planet for a billion of its potentially most able people to live in angry isolation.” Richard Nixon, after his election in 1968, pushed for better relations with China despite historical tensions and hostilities. In 1971, National Security Advisor and future Secretary of State Henry Kissinger took two trips to China – the first made in secret – to consult with Premier Zhou Enlai. 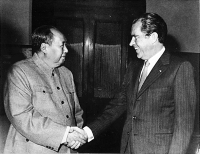 After more than two decades of icy relations, Nixon embarked on a trip to China starting on February 22, 1972. Not only did this visit strengthen Chinese-American relations, but it also served to encourage progress with the USSR. 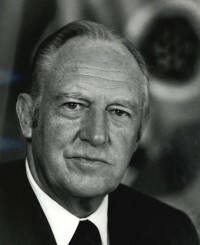 Winston Lord was a member of the National Security Council’s planning staff and accompanied Nixon on his visit to China. 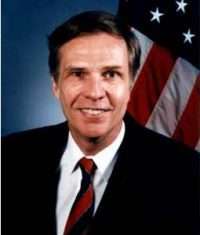 He later became a top policy advisor on China, Ambassador to China, and Assistant Secretary of State for East Asian and Pacific Affairs. In these excerpts from his oral history, Lord discusses the geopolitical rationale for the trip, working with Nixon and Kissinger, meeting Mao Zedong, and negotiating the Shanghai Communiqué over concerns regarding Taiwan. You can read Lord’s account of Kissinger’s secret negotiations with Peking and Chas Freeman’s experiences as interpreter during the trip. Learn about ping pong diplomacy, which helped pave the way for Nixon’s historic trip. Go here for other Moments on China. Kissinger’s rationale, and Nixon’s, included the following. First, an opening to China would give us more flexibility on the world scene generally. We wouldn’t just be dealing with Moscow. We could deal with Eastern Europe, of course, and we could deal with China, because the former Communist Bloc was no longer a bloc. Kissinger wanted more flexibility, generally. Secondly, by opening relations with China we would catch Russia’s attention and get more leverage on them through playing this obvious, China card. The idea would be to improve relations with Moscow, hoping to stir a little bit of its paranoia by dealing with China, never getting so engaged with China that we would turn Russia into a hostile enemy but enough to get the attention of the Russians. This effort, in fact, worked dramatically after Kissinger’s secret trip to China. The major challenge, of course, was to work out an agreement that President Nixon would visit China and to develop some rough sense of what the agenda would be. We agreed in principle that there would be just a brief announcement, which both sides would issue simultaneously, after we got back to Washington. However, the real negotiating, and this went on for hours, was about the following: we wanted to make it look essentially that the Chinese wanted President Nixon to come to China. The Chinese essentially wanted to make it look as if Nixon wanted to come to China and that the Chinese were gracious enough to invite him. So we went through our first, agonizing process of negotiation on that issue. At one point we broke off the negotiation, not in a huff, but just recognizing that we were at an impasse. We thought that the Chinese were coming back to the negotiations within a couple of hours. Kissinger and I and the others walked around outside, because we knew that we were being bugged, and we couldn’t discuss strategy and tactics unless we walked outside. Probably the trees were bugged, too. Who knows? I remember that we waited for hours and hours. The Chinese were probably trying to keep us off balance and were probably working out their own position. Most likely, Zhou En-lai had to check with Mao Zedong. Finally, the Chinese came back, and we resumed the discussion and worked this issue out. I forget the exact language used in the brief communiqué which was made public. The formulation used went something like this: “Knowing of President Nixon’s interest in visiting China…” And in fact he had expressed an interest in visiting China in general. The formulation went on that the Chinese had invited him. So it wasn’t as if the Chinese wanted Nixon to come to China and were going out of their way. They used the formulation that they invited him because they had heard about his interest in visiting China. On the other hand, Nixon wasn’t begging to go to China. So it was a fair compromise. This matter was covered in a few sentences, essentially, but it was tough to work out….So we began to think about how to get ready for the Nixon trip to China. We had to decide on the specific cities that President Nixon would visit. So we scheduled another trip to China for Kissinger in October, 1971. Al Haig would go to China in January, 1972, and President Nixon would go in February, 1972…. There was a continuing process of feeling out by each side as to where our strategic goals could converge and how we could handle difficult issues. That was one aspect of the Kissinger trip and an end in itself, with Kissinger going back and talking to the Chinese. Then there were the two goals of setting up President Nixon’s trip to China. On the substantive side, we were beginning to see what the leaders would say on these issues when they met, together with mine fields to be avoided and areas of possible convergence to be explored. Specifically, and I’ll get back to this, there was the communiqué, which turned out to be the Shanghai Communiqué. This would be the concrete result of the Nixon visit and obviously very important. Further, there were the logistic preparations on where the President would go and what he would do. It was agreed that we would arrive in China on February 22, 1972, and remain through February 28, 1972, Chinese time. President Nixon would go first to Beijing, then to Hangzhou for its natural beauty and just to go to another place. Then we would go to Shanghai and leave China from there. There would be roughly a day each in Hangzhou and Shanghai and four or five days in Beijing. The way the Chinese handled this, and they were very clever in helping to get ready for the Nixon visit, involved getting their own public used to the fact that the American President was coming after 22 or 23 years of total hostility and isolation. During this time the Chinese Communists had demonized America in their own propaganda. So, although we found out that there was underlying respect and affection for the United States by the Chinese people, despite this propaganda, and which was quite remarkable, nevertheless, both in terms of high ranking cadre and even some of the Chinese leaders, and in terms of the general public, the Chinese had their own need to begin to condition the Chinese audience as to what was coming. This renewal of contact was a shock for us, but it certainly was quite a turnaround for the Chinese, as well. So, in effect, we did a dress rehearsal, wherein Kissinger and the rest of us would go to places that President Nixon would be going to, both to check them out, but also gradually to reach wider Chinese audiences…. The Nixon trip to China was obviously a tremendous event. I run out of adjectives in describing its drama. There was a big buildup to it, and we started it going….I remember getting on the plane at Andrews Air Force Base. There was a TV on the plane, which we were watching from right outside the President’s cabin, in the senior staff quarters. On the TV people were saying goodbye to the President and us taking off from Andrews Air Force Base. As we took off, we still were watching it on television. I was saying: “If this plane explodes, we can see ourselves explode on television!” This was a case of sick humor…. I remember that when we landed at Beijing Airport, maybe naively I was somewhat disappointed at what I considered the strained nature of the Chinese reception. We had expected thousands of people in cheering crowds, after 22 years of hostilities. There was a very small crowd, including a Chinese Army honor guard. Looking out the window at the welcoming ceremony, I thought that it was a fairly grey day, too. This didn’t look like a monumental event, as it ought to have been. Of course, everyone was wondering how the first encounter would go between the President and Zhou En-lai, who was at the airport to meet him. They all remembered that Secretary of State John Foster Dulles had snubbed Zhou En-lai in Geneva in the 1950s when he refused to shake his hand. That initial handshake this time was clearly going to be important. Nixon left the plane, walked down the steps, and went over and shook Zhou En-lai’s hand. This was a famous photograph. I have a copy in my house of just the hands shaking. This picture is dedicated to the New China Hands. Then there was a restrained reception at the airport, with the band playing, the national anthems, review of the honor guard, and so on. There were not many people there. The reception was very cool. Then there was the motorcade to Tienanmen Square and on to the guest house. There were no crowds in the streets, except the usual ones. No one had been lined up specially. Again, I was somewhat disappointed. The press noted that the reception was rather restrained…. It was sort of anticlimactic. There was the inherent drama, but there wasn’t the color and excitement that one expected. I can’t say that I was depressed by this, just that we felt that there was not quite the elation we expected to feel at the time. We got to the guesthouse. I think that Zhou En-lai briefly said goodbye to the President to allow him to freshen up and relax. About one hour later Zhou En-lai came back to the guesthouse and asked to see Kissinger. He said that Chairman Mao wanted to see President Nixon right away. Before the trip we had never pinned down when the President would see Mao Zedong. Obviously, we assumed that he would, of course. This would be a meeting with the highest Chinese leader. The Chinese indicated that Mao would meet with the President, but they never said precisely when this would be. This was a typical example of the Chinese style, where the Emperor used to keep visitors on edge, and the schedule was never fixed until the last minute. This was true of other trips that we had. This was partly intended to keep us off balance, and partly to make us feel grateful when the actual meeting took place and that it did take place. The immediate reaction was, not being mad, that they just sort of said, “Come on over and see the Emperor.” Obviously, there was instead excitement. Also, there was an immediate recognition that, whatever the restraint of the initial reception, the fact that Mao was going to see President Nixon within the first couple of hours of his arrival was very significant. It was going to send a clear signal to the world and to the Chinese people that Mao personally was behind this visit and the historic importance of the event. So this was obviously very good news, even if it was a somewhat unorthodox way to proceed with the leader of the Free World. Nixon asked Kissinger to go with him. That was his intention, to have just the two of them at the meeting. Nixon didn’t want Secretary of State Rogers along. We also thought that there might be more than one meeting with Mao, since this was so early, and Rogers could go to a later meeting. 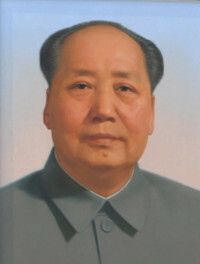 Indeed at one point Zhou had suggested that there might be two meetings with Mao. Kissinger, to my everlasting gratitude, asked me to go as well to this historic meeting. Basically, on the one hand, it was a reward for all of the hard work that I had done, generally for Kissinger and specifically on the China initiative and that, together with [John H.] Holdridge, I had been in overall charge of the major preparations for the Nixon visit and the drafting of the Shanghai Communiqué. However, it was also in Kissinger’s self interest to have a note taker there, so that Kissinger could concentrate on the conversation. So I got to take notes at the Nixon meeting with Mao. Also, Kissinger knew that I was one of the world’s great note takers. I always got meetings down verbatim, even the jibes. There was that element to it. And so, with great excitement, we went off to see Chairman Mao in the leaders’ compound. We walked past a hallway with a ping pong table and into Mao’s modest study, which was lined with books. Mao already was somewhat frail, physically, but nowhere near as much as he was during later meetings he had with Kissinger and with President Ford. I tied for first place among Americans with Kissinger in meeting with Mao five times. That is, once with Nixon, once with Ford, and three times with Kissinger alone. Mao had a couple of nurses around him and clearly needed some help. He was an old man but not a dying man by any means. He was just somewhat frail, physically, but not shockingly so. Indeed, he struck us with his presence. It is hard to sort out how much you expect when you see a great man, given his reputation. I say great, not in a positive sense but, in the sense of impact. Mao was obviously a very bad man in most respects. As for the physical force of the man, how much was I making this up and how much Mao really made this impression? Both Kissinger and I felt that if we walked into a cocktail party and had no idea who this guy Mao was, his very presence would still have had an impact on us. The meeting lasted for about an hour. I remember distinctly, coming out of the meeting somewhat disappointed. I was impressed with the physical impact of Mao. It was also clear that this man was tough, ruthless, and came from a peasant background, in contrast to the elegant, Mandarin quality of Zhou En-lai. However, I thought that the conversation was somewhat episodic and not very full. Kissinger had sort of the same reaction as I did. Mao was speaking, as he usually did, in brush strokes, whereas we were used to the elegant and somewhat lengthy presentations of Zhou En-lai. Mao would just throw in a few sentences, a few brush strokes. He went from topic to topic in rather a casual way. As we left, however, we were obviously happy. We had had this immediate, friendly meeting with Mao. I can’t remember which meeting discussed which topic. However, I am sure that we both talked about the danger of the polar bear, the Soviet Union. Mao certainly said, in one of these meetings, and I believe this was the one, that we could wait to settle the Taiwan problem for 100 years. 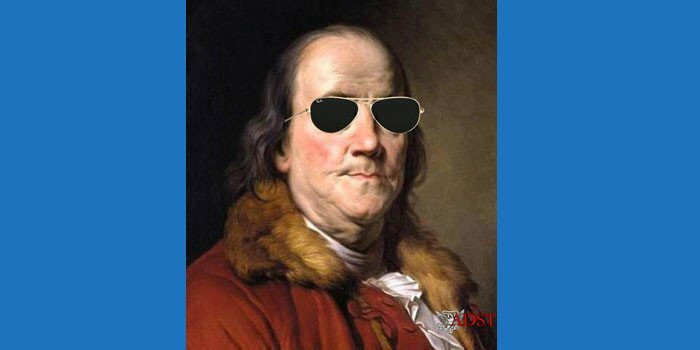 In one of the meetings, and it may have been this one, when told that he had made a major change in China, he said: “No, I’ve only changed a few things near Beijing.” So we had these sometimes rather epigrammatic comments. It seemed at times that he sometimes did not quite know what he was talking about. He was rather casual about what we would be getting at, in what order, and what was his agenda. So his comments seemed somewhat disjointed, not particularly elegant, and a little disappointing. However, we changed our mind on Mao’s deftness as we thought about it, and I don’t think that this is a rationalization, and as the trip went on we realized just how important this meeting was. It was important because, immediately on arrival, and for the reasons I mentioned, he had indicated to the world and to his own public, his backing for this strategic move. It was also important because Mao was setting out the main lines, however thinly and in brush strokes, for Zhou En-lai to elaborate on in the coming days in the various conversations. So maybe there were only two or three sentences on the polar bear, but there was the whole line of anti-hegemony and the fact that we had to get together against the Soviets, not as allies, but as a matter of common concern. It was there, authorized, and for Zhou En-lai to fill out. On Taiwan, as I said, Mao said that China could wait. It was there in the communiqué, in which they could take a tough position, but we could take our own position. We didn’t have to resolve this question now. We could move on and kick it down the road…. However, as we thought about it, and certainly by the end of the trip, we realized in fact that Mao had put in a very skillful performance. In his understated and unorthodox way he had set forth the main lines of Chinese policy, he had made clear the features that he considered very important, and that other things could fall into place. Mao was self-deprecating, even though he had a tremendous ego. He had some humor. He had gotten through his agenda purposefully, even though it seemed casual and episodic. He had managed to cover the main points. I still don’t think that it was one of the great conversations of all time. However, I think that Mao was much more purposeful and skillful than we gave him credit for at first…. The reason that they did this is that even they were embarrassed that Secretary of State Rogers had not been at the meeting. They figured that it was humiliating enough that the National Security Adviser was with the President at this historic meeting, but the Secretary of State was not. To add on top of that the fact that the Special Assistant to the National Security Adviser was there as a third person but the Secretary of State was not was too much, even for them. The Chinese clearly must have been puzzled by this, but they readily went along with this request. So the official communiqué just said that Nixon and Kissinger were present on our side. The pictures cropped me out of it. I was on the right side of the picture as you looked at it. I, of course, was disappointed, because I wanted worldwide fame, but I was sworn to secrecy. Very few people knew about this. I don’t even believe, in fact I’m quite sure, that the State Department didn’t know that I had been present at the meeting, either. I just can’t remember now that anybody knew. I will now confess that when I got back to Washington, I told my wife. I wasn’t about to keep this secret from her. However, for a couple of years this secret was kept from the entire world. Now, Chairman Mao wouldn’t have known me from Mel Gibson or Woody Allen. I was sitting there with several other U.S. officials, all higher ranking. In protocol terms I would have been the last person going with Kissinger to see Mao, because you can only take one person. The Chinese knew, first, that I was the closest person to Kissinger and, perhaps, the most important in terms of the China initiative. Secondly, I had attended a Kissinger meeting with Mao, but this occasion was secret, and nobody knew about it. Thirdly, the Chinese knew that Kissinger would want to take me for general reasons and because of my note taking and advice. So they thought up the gimmick of Mao wanting me to be there, along with Kissinger. This gave Kissinger the pretext, despite protocol, of taking me with him. I went to this meeting. It was a very nice gesture on their part. On a subsequent trip they gave me a picture of the Nixon meeting with Mao, with me in it, to prove that I had been there. Since then, of course, it has been well publicized, but that was an interesting sidelight. Now we ought to get to the substance of the trip. We had a series of meetings with Zhou En-lai and also some meetings, particularly to negotiate the language of the communiqué and other, loose ends, with the Vice Minister of Foreign Affairs, whose name was Chao Kuan-hua….So the real discussions were between Nixon and Zhou En-lai, and they ranged over all of the issues that one would expect, whether it was on the general, historic nature of the opening to China or Russia, South Asia, the Middle East, Vietnam, Korea, Taiwan, and bilateral relations. There was discussion with Zhou En-lai of general principles and major issues and particularly Taiwan….We had really tough negotiations on Taiwan, day after day, right down to the wire. They finally ended up on our last night in Beijing, when we were to take off the next day for Hangzhou. We reached agreement. I still remember this. I don’t think that I went with Kissinger to tell Nixon, late at night, that we had reached final agreement on the communiqué. Of course, you know the formulations agreed on, and I won’t go through all of that. Basically, it was a rather historic formulation which has held up to this day. The Politburo of the Chinese Communist Party approved the communiqué that evening. Of course, we had approved it. We took off for Hangzhou on the following morning. When we got there, Secretary of State Rogers (in photo) and Marshall Green saw the communiqué for the first time. That is no way to do business. Either on the plane to Hangzhou or in Hangzhou, they said basically that this communiqué was a disaster…. They were very critical, particularly on Taiwan. They said that President Nixon was going to get killed at home and around the world and that we had given in too much to the Chinese. We thought that this view was nonsense, in substantive terms. Each side had declared its positions. In fact, we had negotiated the communiqué pretty skillfully and we thought that most of their comments on the communiqué were piqued at having been left out of the negotiations. The process was lousy and State should have been included. But the communiqué turned out to be excellent. So Nixon had a terrible decision. On the one hand, the Politburo of the Chinese Communist Party had already approved the communiqué. On the other hand, he risked having Secretary of State Rogers and Marshall Green, if not on the record, then leaking out on background that they had not only been excluded from the negotiations but that we had also sold out on Taiwan. So Nixon had the humiliating experience of sending Kissinger back to Hangzhou to reopen the negotiations on the communiqué…. Kissinger, of course, was very resistant to this. I don’t remember exactly what the conversation was. But he dreaded going back to Zhou En-lai and saying in effect: “I’ve got a small detail here. We know that your Politburo has approved this, as well as Chairman Mao. Here we are in Hangzhou, and the Politburo isn’t even around, and Chairman Mao is back there in Beijing. However, by the way, we’d like to reopen some of the sensitive issues on Taiwan that we’ve both agreed on after months of negotiations.” This was going to be embarrassing, to say the least. It was our own fault for having cut out the State Department in the negotiations on the communiqué. So we reopened the negotiations on the communiqué that night. It was very humiliating. Kissinger explained our bureaucratic and public relations situation. We suggested some changes but didn’t try out all of the changes that the State Department wanted, particularly the ones that were really dramatic in their import. Zhou En-lai handled the matter very skillfully. He tried to avoid making this situation any more awkward and embarrassing than it really was…. We went on to Shanghai the next day, and Kissinger presented a press briefing on the communiqué, including reasserting on Chinese soil that we would continue to have our defense relationship with Taiwan. This was a very sensitive point. It is one thing to say this in the United States, but to say it in Shanghai was quite extraordinary. Kissinger, as it were, was doing a high wire act, and he wanted to protect the President’s domestic flank and his international reputation, as well as fears on Taiwan, without overly alienating the Chinese. This was a very skillful performance. We were not 100 percent sure, particularly after the State Department had spooked us a little bit, what kind of reception the trip and the Shanghai Communiqué would get, both immediately and when we returned to Washington. Even as we flew back to Washington, with the euphoria of the trip, we were still a little bit concerned about what the reaction would be. Well, once again we underestimated the popular dimension of this initiative. There may have been some carping at the time, but, on the whole, everyone not only welcomed the trip as a tremendous success, with this romance and euphoria, but they also said that the Shanghai Communiqué was very well done.